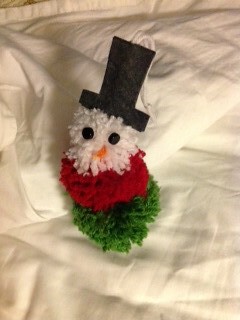 Also joining the party is this little guy made by our mom. She used white fleece, beads, a little felt, and a scrap from a kids' shirt (because Mom is good like that and always has useful scraps around the house). 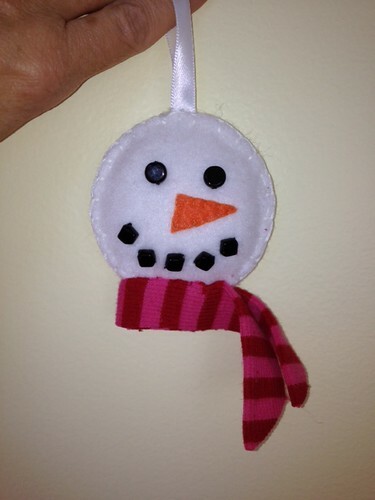 I like the simplicity of this snowman -- he doesn't need a body, just a cute scarf!